Blue Point Trading - good or bad? doesn’t look too healthy in my opinion. well… that explains the contact form then. They’re a well known “prop-shop”, Eddie (proprietary trading company) - one with a very reasonable reputation, in the industry, for what that’s worth. Their own website describes them as an introductory broker, that’s why I’ve said the same. What benefit is there to the OP in going thru them rather than direct? Nearly all prop-shops are (strictly speaking) introducing brokers as well. It’s how they make some/part/most of their living, and they’re obliged to state that they are. No disrespect at all, Eddie, but I think you may possibly have missed the point, on this occasion. The OP is asking about them as a prop-shop (it’s right there in his question). They’re not a terrible one, given that most prop-shops are pretty scammy. As is true of any prop-shop, the potential advantages of using them are (i) financial backing and (ii) education. They’re certainly long established, and don’t have a dreadful reputation in the industry, Ataw. Are you considering using them “remotely” (i.e. online), and have you looked around at the others potentially available? Do you have much risk capital of your own? If it helps, I can make 2 suggestions. If you want financial backing for remote trading, have a look too at a company called TopStepTrader, who are definitely honest, ethical and reliable. You don’t have to put up any of your own risk capital with TST, but you do (understandably!) have to demonstrate to them that you can trade safely, first, on one of their demos, and they do charge a small fee for that. But for people with trading skills and without any capital, prop-shops are about the only practical way forward (unless you have a couple of maths degrees from Oxford and enough industry contacts to land a trainee position, and these days even that isn’t easy). the catch is that you make money per pips you make. they don’t provide you with real capital instead with demo account and their system copy your trades to their real accounts for the first three months you have to make at least 300 pips per month then you are recruited. and you can make as much pips as you want according to them there are no limits and the value of each pip can go to 16$ f you choose the higher enrollment package. the catch is that you make money per pips you make. they don’t provide you with real capital instead with demo account and their system copy your trades to their real accounts for the first three months you have to make at least 300 pips per month then you are recruited. Yes, that’s their business model. you can make as much pips as you want according to them there are no limits and the value of each pip can go to 16$ f you choose the higher enrollment package. I’ve never known anyone who’s got that far with them, myself. I see. I didn’t know that. And don’t really know whether it’s significant. They’re a real company, though - they’ve been around for ages. 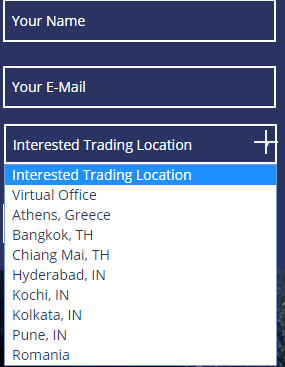 All my information about all these places is second-hand, so I can’t help much, really. Like many people with an interest in these things, I have a high opinion of TST and can assure you that they’re “the real deal”, though.